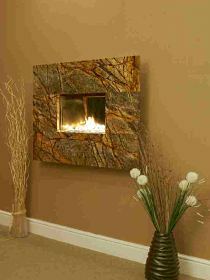 The Stonewall Fireplace Surround . 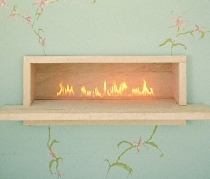 . . Picture Perfect! 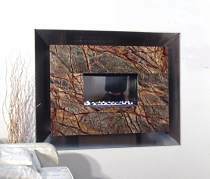 A stonewall fireplace (aka stone wall fireplace) surround is the perfect way to frame a contemporary wall mounted or in-wall fireplace unit . . . . .
. . . A relatively recent innovation, the "wall fireplace" -- either built-in or wall-hung -- has opened up a whole new realm of possibilities in contem- porary fireplace design! 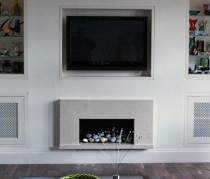 A real space saver, it can be installed virtually anywhere, even in the tightest of spaces. 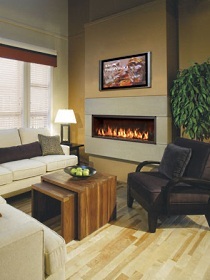 It can be placed at nearly any height desired and, just like a picture, can be enclosed in a frame. 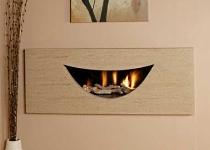 signers to incorporate a variety of rather unconventional shapes or forms in the overall design schemes. 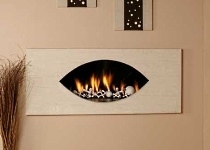 The following two examples are aptly titled "Eye" (left) and "Smile" (right). 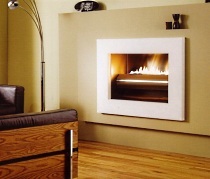 The fireplace photos below show a wide variety of both in-wall and wall-hung units, each of which is framed by an elegant stone surround. 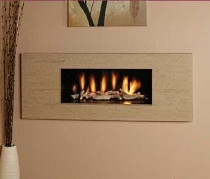 Whether crafted from limestone, granite, marble or cast stone, each is designed to wrap artfully around a "living picture" of dancing flames. 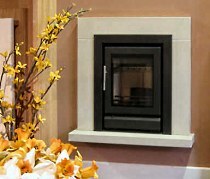 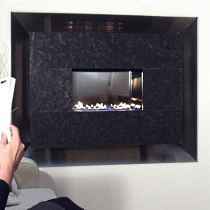 Please check back often or subscribe to our RSS feed, as we fre- quently add new images of stone surrounds for wall-hung fireplaces to our site. 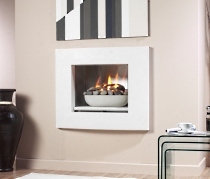 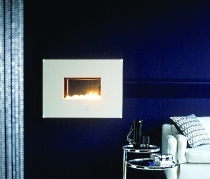 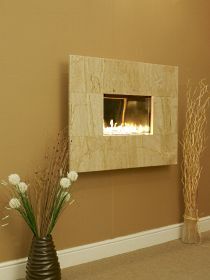 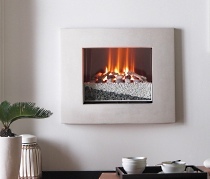 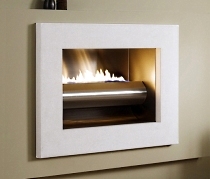 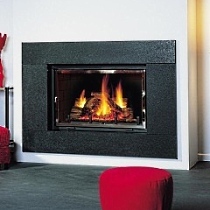 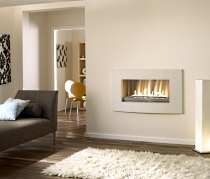 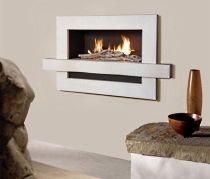 Contemporary Fireplace Gallery - Sleek & Chic!